If you are a blogger and have a WordPress site, you must know how important is to maintain consistency of the blog. Also, you must know how important is to publish and update post on regular basis. 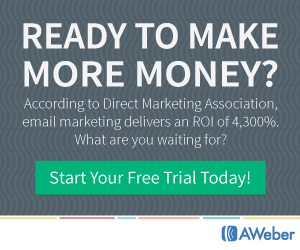 It helps to maintain consistency of the visitors on your blog. 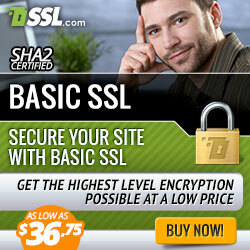 Additionally, it improves the ranking of the site. 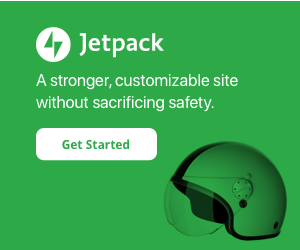 Above all, there is no doubt that WordPress has many hidden features. 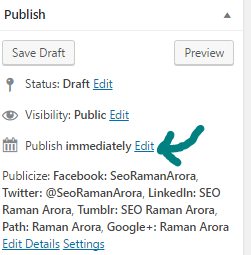 One of the interesting features of WordPress is scheduling the posts. Today we will discuss “How to Schedule Post in WordPress” and how it will benefit you. 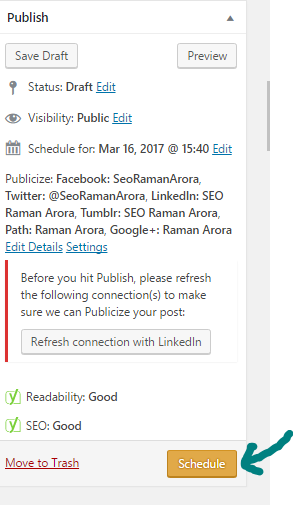 What is ‘Schedule Post in WordPress’? We can schedule a blog post to publish that on some fixed time. Also, we can set time and date of the post, then the post will be published on the scheduled time and date. Why should Schedule Post in WordPress? There are certain situations when you don’t get time to publish your post. But if you will not publish your post on regular basis it will affect your daily visitors. They may opt some other medium to get information. Also, it affects SEO of your blog. Apart from that, there is certain time and day when your visitors more likely to see your posts. Additionally, it is very important to serve your visitors on the right time to maintain the long-term relationship with them. Like, for the most traffic, the best publishing day of the post is on Monday and time 11 AM. Assume you are not able to publish your post on the peak time. The reason may be, you go somewhere on vacations or get some work. To deal with these situations, you need to Schedule Post in WordPress. 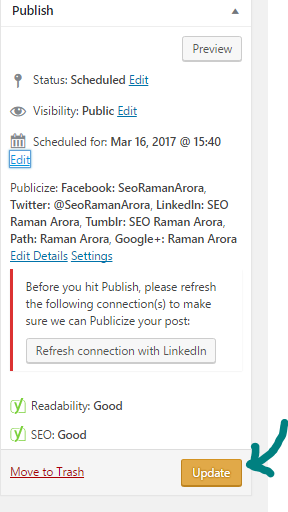 If you will schedule your posts, they will be published automatically on the schedule time and date. If you publish the posts on same time regularly then your post will be indexed more quickly in the search engine. Also, if you publish the post on fixed time daily, then your visitor will come to know at what time they can see your new post. Moreover, if you are not able to publish the post on peak time, you can do it by scheduling a post. Are you curious to know ‘How to Schedule Post in WordPress’?Don’t worry, here comes the time, when I will tell you how to Schedule Post in WordPress. Open the post editor, Write your post. When you complete the post, view the right side of the editor. Then click on the Edit link given with the Publish. It will show the option such as Date and time to schedule your post. Set Date and time the click on OK button. Now click on the Schedule post button. 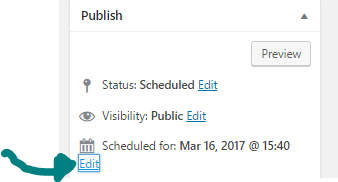 Once you clicked on Schedule button, your post will be scheduled. You will see Schedule in the status of the post. In this way, you can successfully Schedule Post in WordPress. Do you want to know How to remove the scheduled status of the post? Don’t worry I will also tell you the way to change the status of your schedule post. 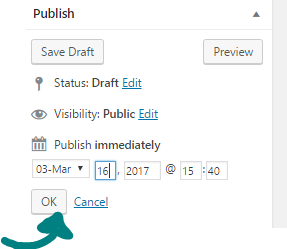 How to Change Schedule status of the post in WordPress? 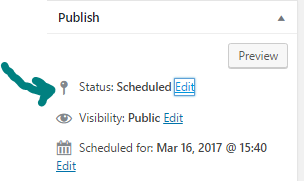 Click on the Edit given with the Scheduled option. Now change date or time and click on Ok button. If you want to publish the post immediately set the current time and date. Now click on the Update button given below these options. Congratulation, you have successfully change the status of the scheduled post. I hope you find this article “How to Schedule Post in WordPress” helpful. Besides, it is one of the hidden features of WordPress. Most of the WordPress beginners don’t know about this feature. So, try to maintain the consistency of the post by scheduling your posts. 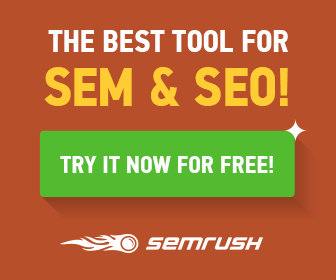 This feature will help you increase your site traffic as well as improves site ranking. If you have any query regarding this post, don’t hesitate to ask in the comment section. Share this post with your friends. You can also follow me on Facebook, Instagram, twitter, LinkedIn, Tumblr, Google+ and subscribe to my YouTube channel ‘SEORAMANARORA’ for more information.